Nuri el-Alfi’s father disappeared in 1970, when Nuri was 14 years old and on holiday in Switzerland with his young step-mother, Mona. The politically motivated kidnapping is entirely personal for Nuri, and this personal dimension is the focus of Nuri’s recollections in this short book, the second novel by Libyan author Hisham Matar. Matar’s own father was kidnapped in 1990, when Matar was 20 years old, for his political activities. That incident no doubt fueled Matar’s own telling of this story, perhaps especially his intense focus on the personal aspect of the story. As bystanders, we might want to look at the political forces behind these kinds of incidents, to ask which parties were involved and get at the power structures behind them. A son would have a different perspective, and Nuri’s questions are less about the politics (which hardly seems to worry him at all) and more about the man that he lost. When Nuri was 10 years old, his mother, long haunted by an inexplicable sadness, died suddenly for reasons never explained to Nuri, although readers can perhaps intuit what a 10-year-old boy would not be told. The death throws Nuri and his father together. Two years later, father and son become bonded in a different way over 26-year-old Mona, a romantic obsession and eventual wife and step-mother. Nuri longed for her and resented his father for winning her, a fact that becomes even more piercing when his father’s reasons for wooing her become clear. It shames me to admit that even the tragedy that followed did not corrupt the memory of those three days spent in Montreux alone with Mona. If anything, and perhaps exactly because of what happened next, it glimmers in my mind with the vividness of a dark jewel. The disappearance changes everything, of course. Nuri and Mona’s relationship changes, as time forces them to follow their own paths. Matar beautifully depicts the universal complications of growing up and growing distant while never letting go of the particular complications of Nuri’s situation. Nuri doesn’t have anything like an ordinary family, but his experience of learning things he never expected to know about his family is an experience not at all out of the ordinary. Families are made up of individuals, and each individual has his or her own private story, parts of which may remain a mystery to everyone else. Matar dwells entirely on Nuri’s personal experience and how his life touches—and is touched by—this strange family that circumstance has given him. But every family has its drama, and part of growing up is choosing how to manage and relate to that drama. It seems trite to call this a coming-of-age story, but I think it’s an apt description. At heart, I think the book is about growing up, losing the safety nets and daydreams of childhood and deciding when and how to don the clothes of our parents while leaving space for them in our hearts and lives. 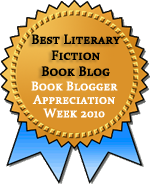 This entry was posted in Fiction and tagged E-Galley, Review Copy. Bookmark the permalink. Lovely review, Teresa. 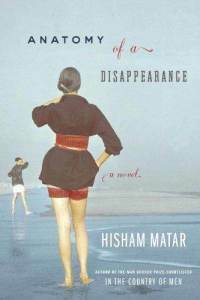 I enjoyed this book very much when I read it, and though Matar captured the tone of troubled adolescence very well. I really must read his first novel now. I think it was your review, Litlove, that first put this on my radar, so thanks! I intend to look into his other book as well. I loved reading about this one Teresa, as now I want to read it even more. Sounds haunting…Mishar’s first book was pretty intense, too. I didn’t know his father had been kidnapped. Haunting is a good word for it, yes. I’ve heard alot about this book, and I can’t wait to read it. I’m particularly drawn to the family life that Matar created. It’s well worth reading. The family dynamics were so strange in a lot of ways, but they felt authentic too. After reading a brief piece he wrote in The New Yorker a few weeks ago, I’m quite eager to read this one. I’m glad to hear it’s so haunting. I want to read more of his work one of these days. I can imagine he’d be great with short pieces.